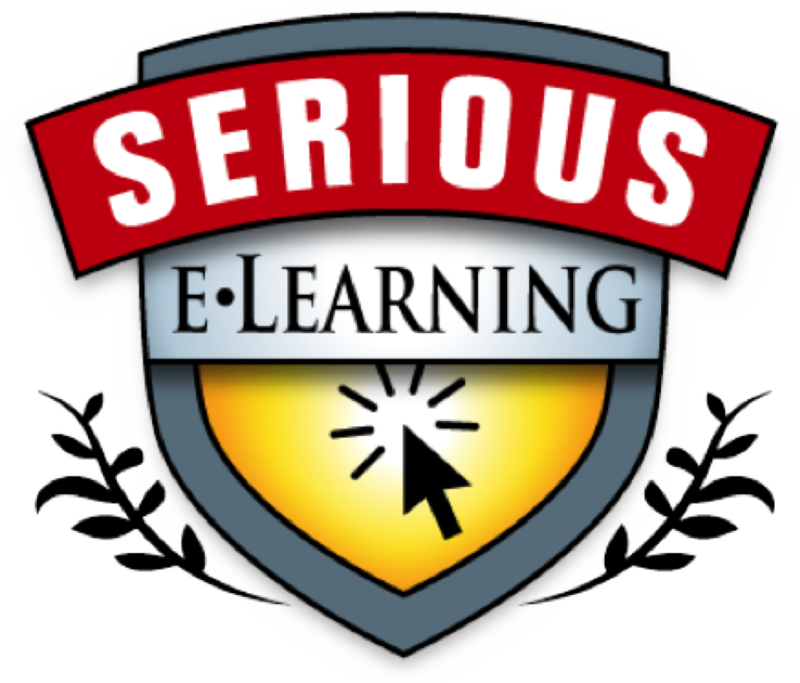 It continues to amaze me how new eLearning can be to some folks. In June I spoke on behalf of a colleague to a group of HR managers, introducing eLearning. I also was interviewed on elearning for a small business magazine in New York in July. Now I’m opening the eLearning Guild’s September Online Forum Introduction to eLearning. I’ll try to put eLearning into perspective, about how technology gives us new affordances to meet organizational needs, dispel some elearning myths, and of course talk about eLearning strategy. Of course I’ll briefly cover games as part of taking instructional design beyond content-and-quiz or classroom online, and mobile as part of increasing reach. It’s sometimes hard to realize, when you’ve been using technology to support learning for 30 years, that some people are just coming up to scratch, but that’s the reality, and I do try to live in reality (guided by concept, of course ;). That’s OK, I’m certainly happy to share lessons learned rather than have folks keep making the same mistakes. Maybe we can save them some money now, so they have more for some of the fun stuff that’s just waiting to be done! If you’re just getting up to speed, I suspect that the Online Forum will be a great way to do it. Hope to see you there! In my (next to) last post, I talked about print versus screen reading, and at the end made a comment about publishers. I want to extend that comment here, and to do so I need to go to Pine & Gilmore’s Experience Economy. I’ve talked about it before, but the premise briefly is that we’ve moved from selling services to selling total customer experiences (the pre-sales, the sale, the product or service, the support). Hence the success of Apple, which creates amazing experiences, generating great customer loyalty and satisfaction. So how does this bear on publishers? The hoary old cliche’ is that publishers need to realize that they’re not about books, they’re about content (the analogy being to the railroad companies who suffered when they didn’t realize they were in the transportation business). On the other hand, the current discussion in industry is that now context is king. The point is that content can be customized to the immediate need. What the experience economy tells us is that the differentiator will be the overall experience. So, is experience or context king? I want to suggest that the answer is ‘yes’. Contextualized content creates a positive experience. However, I want to argue two facets to this. Publishers do need to move to where content is semantically tagged for when there are smart systems that can contextualize it. However, I want to suggest that they also need quality information design to create a good experience even when it’s unable to be customized. That’s come into play with educational publishers. Pine & Gilmore have argued that the subsequent economy will be the ‘transformation economy’, with experiences that transform us. I want to suggest that quality learning design will be the differentiator, and it definitely means going beyond traditional instructional design and incorporating cognitive science research and emotional engagement. I immodestly suggest that Engaging Learning is part of the solution, but the point is much bigger. It’s about reorganizing content to focus on meaningful outcomes, and then aligning the experience to achieve those. While incorporating the semantic hooks as well. So, I’m arguing that the content business needs to look to both quality in design, and elegance in implementation, to support either or both scenarios: customized and quality experiences. I just finished a report for a client, and I’m psyched. They were really great folks to visit, and I feel like I really gave them some valuable thinking. I’m doubly psyched since the eLearning Strategy framework I’ve been working on (and presented at the eLearning Guild‘s last always-great conference) proved useful in helping to analyze their situation and generate recommendations. It’s not a ‘pull off the shelf and use’ framework, it requires customization to a particular context, but it’s proved useful in helping to support analysis and guide recommendations. And it’s in flux, as it’s already improved since it first appeared on the model page (only slightly). The point is that the steps have entailments, and while there are several entry points eventually you want to fill in the lower parts to provide a solid foundation as you move up. I hope to have a chance to talk about this more at an upcoming conference. Or perhaps with you? Ok, the title’s a little broader-reaching than the post will be, but it’s some thinking that was prompted by Henry Jenkin’s presentation at the eLearning Guild conference, which Jay Cross has covered. The one new point I took away was the implications of “rip, mix, burn” for eLearning. What will learners do in the new read/write environment? My first reaction was that many workers won’t have time or interest in messing with the information, but as someone (Mark Oehlert?) challenged me, the new generation will have it in their basic approach to life. And, of course, in my own approach to thinking how people work (warning, PDF) I want them to go back and edit resources if they find them inadequate. The final nail in my own reaction’s coffin, of course, is the fact that we want experts to collaborate. That’s part of the point of the learnscape (wish my own eLearning Strategy talk hadn’t been at the same time as Stephen Downes talking about PLE’s, which is getting lots of buzz, though I’ve checked out the PPT) where we share our own thoughts and work together to get new understandings. What should our attitudes be about taking content and altering it satirically, ironically, etc? We want people to be innovative and constructive. On the other hand, various actions could be construed as destructive (e.g. personal attacks) or just wasteful. How do we deal with this? I originally was thinking that anything that wasn’t justifiable as constructive should be banned, but then I tried the other way around, that anything that isn’t obviously destructive should be tolerated (within bounds? ), and that seemed even better. We may not always be able to discern the contribution, but lateralness must, I think, tolerate some non-obvious experimentation. It’d be easier to force members of an organization to have to be at least able to make a case why some creation is a contribution, versus having to discern whether it’s actually a problem, but I think there’s a reason to do otherwise. In the latter case you’re putting the onus on the organization to find fault, but I think it would be supportive of a more productive culture than asking everyone to justify their actions. You’d just need a cultural rule that says “nothing personal about anyone, customers, bosses, peers, or subordinates… it can be about a particular thing they did, but not about them”, and so on. The point being that we want people to feel like they can say anything as long as it’s not personal. They can challenge organizational decisions, whatever. However, quid pro quo is that they have to stand behind it, with attribution. Another unforgivable would be to misuse someone else’s identity. However, we should have a channel for anonymous comments. It’s about building trust, really. So we maybe our guide should be something like the Cluetrain Manifesto. So, what other rules will we need? Ideally, we’ll want a culture that can not only acknowledge mistakes, but even reflect and propagate the resulting wisdom (you can’t celebrate error, but I heard a great story about a company that rings a bell when the lesson is learned, to promote the lesson). Where dissent is tolerated, but acceptance expected once a decision is made, even if it turns out to be wrong. I don’t have all the answers, but I think the question is important. I’ve talked a bit before about eLearning Strategy, and have refined the thoughts into what I hope is a pretty systematic picture about what the different tactics are and how they can be aligned into a coherent approach. It includes ways of thinking about the different needs, the different tools, and systematic steps to get from content on a screen with a quiz, or virtual classroom, to a performance ecosystem (Jay Cross’ learnscape). I’ll be presenting the thoughts at the eLearning Guild’s Annual Gathering, and as this is embryonic, ‘m really hoping to get feedback and hear things I’ve missed or ways to improve it (of course, I’m hoping it’s already valuable). If you’re responsible for eLearning Strategy, or thinking about it, I’d love to see you there and in particular hear your feedback! 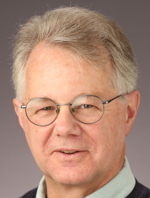 April’s Learning Circuits blog big question is: ILT and Off-the-Shelf Vendors – What Should They Do? The problem is that ILT and OTS vendors are producing canned product in an increasingly flexible and changing world. Their products take time to develop, and there’s much competition from what you can find free-to-air on the web. What’s a vendor to do? I believe there’s a pyramid of basic business stuff at the bottom, vertical market specialization in the middle, and then there’s organization-proprietary stuff at the top. The top should be custom-developed in house. Another cut through this is the stuff that every novice needs to know, the middle ground where practitioners need updates as things change, and then at the top there’s the ongoing negotation of understanding among experts. This is a framework that has helped me think through the tools we use for elearning, but also helps me think through how to address this problem. There are several sorts of basic business needs: specific tool skills (e.g. spreadsheet use), basic business comprehension (e.g. ROI, Sarbanes-Oxley), and interpersonal skills (e.g. communication, negotiation). At the next level up, we have vertical market specifics, such as financial (e.g. what defines ‘insider trading’) and health (e.g. federal regulatory procedures). I think there’s a role for vendors of shelfware in both these markets. However, they’ve got to get better, as most of what I’ve seen isn’t informed by what we know about learning. So, for instance, the ILT vendors need to wrap the F2F experience with preparation, and subsequently support the learners afterwards, ideally creating a community. And the software vendors need to find ways to tap into the benefits of social learning, by having at least virtual meetings, and again building community. So the ILT and OTS folks ought to partner, and distribute what’s best done asynchronously through OTS stuff and what’s done better F2F. Also, we probably need to find new business models. For example, training for software and processes should be provided free by the tool vendors. So the shelfware vendors need to develop it in conjunction with the tool/service vendors. I think, similarly, that vertical markets should create associations that partner with a vendor to get cost-effective solutions developed to serve those markets (and that’s happening). Those will be the only roles for shelfware vendors, and they’ll be limited. Other than that, those hoping to build a library and milk it like a cash cow are probably doomed unless they are the ones that create the demonstrably superior learning that’s optimally efficient in time, optimally effective in outcome, and optimally engaging in experience. Pine & Gilmore tell us that the next step beyond the experience economy is the transformation economy, experiences that change us in ways we are interested in (and that’s what Engaging Learning is all about!). And those that do create it will be the ones who partner with vendors or associations, or own the market in that space.